Last Sunday, the South Korean newspaper Yonhap published an article alleging new use of antipersonnel mines along its borders with China and South Korea by North Korean troops. The rationale given in the article for the new use was to keep North Korean troops from deserting. 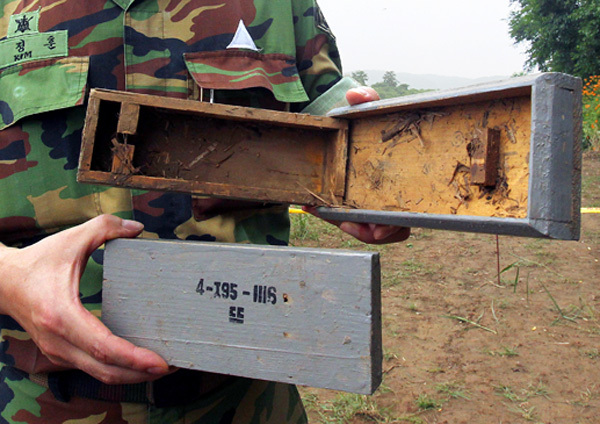 The Korean Campaign to Ban Landmines/Peace Sharing Association (KCBL) immediately contacted both officials in both the Ministry of National Defence and the Joint Chiefs of Staff. Neither was willing to comment on the record regarding the reported new use of antipersonnel mines by North Korea. Neither did they deny it or state that the news report was inaccurate. Yonhap news service informed the KCBL that the information came from the Ministry of National Defence. This news was also reported by other news services in South Korea. Normally, information regarding military movements of North Korea known by South Korean authorities is not publicly commented on. It is well known that North Korean officials regularly read South Korean news, which provides the South Korean authorities a channel for indirect communication to the North. KCBL has been told by military journalists that the information is accurate, citing an increase in military activity near the border indicating a possible near term military attack from the North. The journalist noted that this release of information through the press in South Korea was a way for South Korean authorities to put the North Korean authorities on notice that they are monitoring the situation closely. The ICBL is concerned with this allegation and condemns any new use of antipersonnel mines and requests clarification on the matter from authorities in both North Korea and South Korea.